The meal kit industry has grown at a rapid clip in recent years, largely thanks to the growing popularity of cooking at home and online shopping, as well as a growing customer demand for sustainable, premium ingredients. Meal kit companies sell a mixture of comfort, prestige, and simplicity. They help consumers become great cooks, which can make any house feel like home, and make the kitchen less intimidating. In addition to the home-cooked comfort, these companies also use premium, organic, and sustainable produce and proteins as the building blocks of their recipes. These recipes feature interesting and engaging flavor combinations, as well as ingredients—from harissa paste to zaatar to queso fresco—that you may never have heard of, much less kept on deck in your refrigerator. 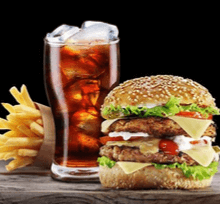 This is part of why the meal kit industry is estimated to be worth between $1.5 billion to $2.2 billion and chances are you know someone who has tried out a meal with Blue Apron or Home Chef, or any one of the many companies that have popped up in recent years. According to the Nielsen Homescan Panel Custom Survey, in December 2017, over 9% of US consumers—around 10.5 million households—had purchased a meal kit. The survey also found that 25% of consumers would consider trying a kit in the next 6 months, and according to some assessments, this growing interest in meal kits could help the industry grow to be worth more than $10 billion by 2020. The appeal of meal kits is probably due in large part to the fact that Americans are eating at home more and more. According to one study, more than 80% of meals eaten in America are prepared at home. Also, a growing number of consumers are eating in-store meal kits, which increased more than 26% in sales in 2017 over 2016, totalling some $154.6 million. Many food kit companies advertise their organic ingredients as a major selling point, and with the popularity of organic food on the rise, this should bode well for the industry. Who Is the Average Meal Kit Customer? Industry data has found that the average meal kit customer is someone who wants to learn to cook and try out new ingredients, and is used to eating out frequently and would like to reduce their food costs. The classic meal kit customer is also interested in eating healthier and reducing their carbon imprint. According to Top10.com research, meal kit customers spend an average of $60 per week and $11 per portion on their subscription. 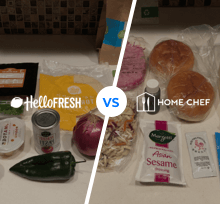 Market research has found that cost is a prohibitive factor for about half of US meal kit customers, and according to a Nielsen research survey, 46% of U.S. consumers said they would be more likely to purchase a meal kit if it were less expensive. This is perhaps why the industry is popular with people who have more disposable income. In addition, Money magazine reported that few people continue with the service after 8 weeks. About 6% of the customers—mostly male with upper-income—maintained their subscription after 3 months in the entire market. 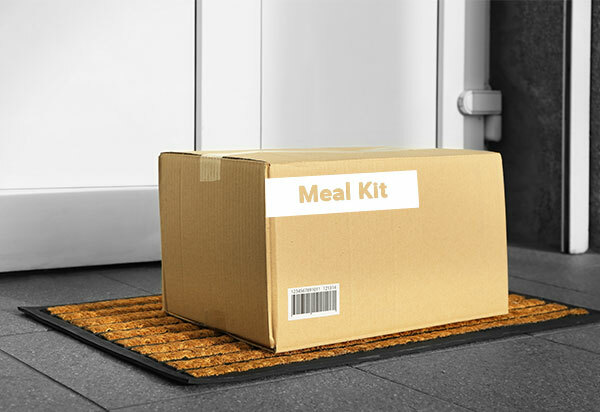 Another report found that less than half of meal kit customers use a service more than 3 times. 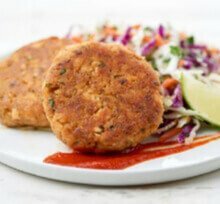 In advertisements for meal kits, the customers are often shown to be young, urban professionals who are trying out new ingredients and recipes. According to the data, there’s something to this. A survey carried out in July 2017 by Money found that the $100,000 income bracket subscribes at a higher rate than any other. The survey found that while 19% of all Americans have tried a meal kit, 29% of millenials and 26% of Gen-Xers had. For those over 45, the figure drops to 12%. If one were to craft a prototype of the ideal meal kit customer based on the Money survey, it would probably be a young person between 20-40, who lives in an urban area and has the income to afford to spend a little extra on their meals. This person is also predisposed to care about organic and sustainable ingredients, and would like to learn how to cook better as well. No single survey can tell the whole picture though, and some of the data we’ve collected at Top10.com has shown that there may be another model of customer for the industry to cater to. By looking at Google Analytics for just the past week, we found that almost 60% of the visits to this site were by people over the age of 45, most of whom are men living in large cities. To put it another way, in a multi-billion dollar industry there may be big money to be made in reaching out to male baby boomers who live in big cities and would like to take their home cooking to another level. The Money survey also found that that only 14% of meal kit customers live in rural areas as opposed to 25% who are urban, and that men are more likely to have tried a meal kit than women (23% vs 15% respectively). This is borne out by our own statistics at Top10.com. By looking at a state-by-state breakdown of site visits, we can see that the vast majority of visits are by people living in large metropolitan areas. For instance in Texas, out of the top 25 cities in the state for site visits, all have well over 100,000 residents. They are either major cities like Dallas, Houston, and San Antonio, or are large suburban areas surrounding those cities. The state with the highest number of site visits is Michigan. The state with the least site visitors by far was Alaska, with only 82. This is probably linked to the fact that it is very common for meal kit companies to not provide delivery outside the continental US. Also, in the lower 48, if you live in a rural area there is a good likelihood that you won’t be covered by the delivery range. What Does the Future Hold for Meal Kits? While American consumers have fallen in love with virtually every form of online shopping, there are some dark clouds on the horizon for the meal kit industry. This is for the most part caused by the high cost of delivering premium ingredients, logistical difficulties, and the slim profit margins. Blue Apron, the industry leader, has reported sustained, regular losses, and in July, meal kit company Chef’d announced that it was suspending operations effective immediately. The future of the industry may be in acquisitions and partnerships between meal kit companies and major retail and grocery store chains which can shoulder much of the logistical burden and keep costs low for consumers and companies. For the former, meal kits make for a fun and affordable way to eat better at home, and learn a thing or two about home cooking.